Painting human faces and figures, not as means to document, rather, as means to probe and investigate, is hugely challenging and exciting, and thankfully, such is also a the validity of portraiture painting in selfie age. 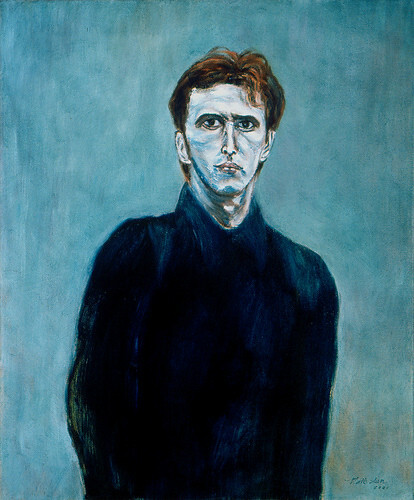 One of my successful attempts was a portrait of a young man, whom I saw near Musée d’Orsay in Paris, and I was intrigued by his serious and even severe countenance, and his chiseled features, intelligent, graceful, vulnerable yet vigorous, an enthralling concoction led to my 2001 painting, A Young Frenchman, which managed to capture many of these engaging characteristics. Someone once wondered about the “Frenchman” in the title; I was fairly confident that the young man was a french national, because not only I saw him in France, also to me, he was the epitome of Gaullic attributes and attraction.